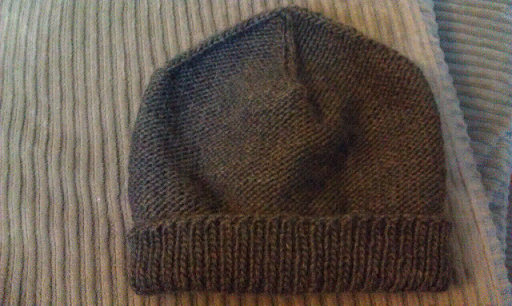 I used 59 g (130 yards) of KnitPicks Full Circle Yarn (ponderosa) that was left over from Keith's sweater. 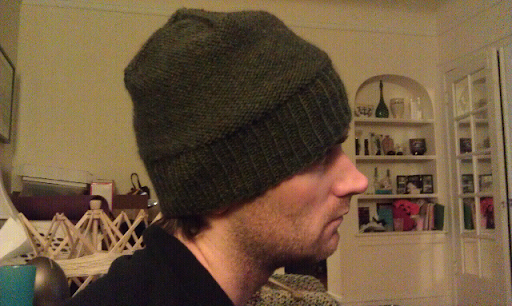 I knit the hat on size 6 knitting needles. 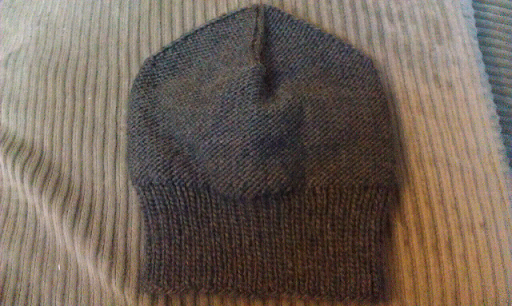 3" Brim - 21 Rows of 1x1 ribbing. 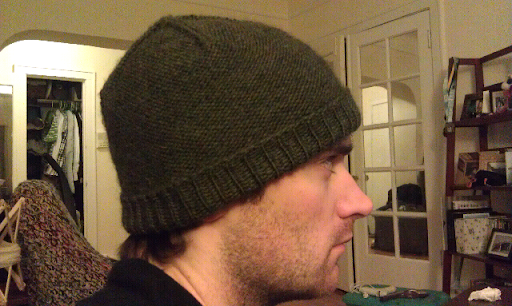 Continue decreasing as written for large hat. I love the final product. This hat looks great whether you want to fold the brim or leave it with some volume. I know that this is a pattern I will come back to in the future.